A new study suggests chronic sleep deprivation during infancy and early childhood may increase the risk for obesity by age 7. "Our study found convincing evidence that getting less than recommended amounts of sleep across early childhood is an independent and strong risk factor for obesity," Dr. Elsie Taveras, chief of General Pediatrics at MassGeneral Hospital for Children and lead author of the study, said in a press release. The study, which was published in Pediatrics, analyzed data from Project Viva, a long-term investigation that looks at how environmental factors and lifestyle choices of mothers impacts health of children before birth and in early life. The information was gathered from in-person interviews with mothers and their children at around 6 months, 3 years and 7 years old and from questionnaires completed when the children were 1, 2, 4, 5 and 6 years old. Mothers were asked to answer questions about their children's sleeping habits, such as the number of hours the child slept at night and during the day. 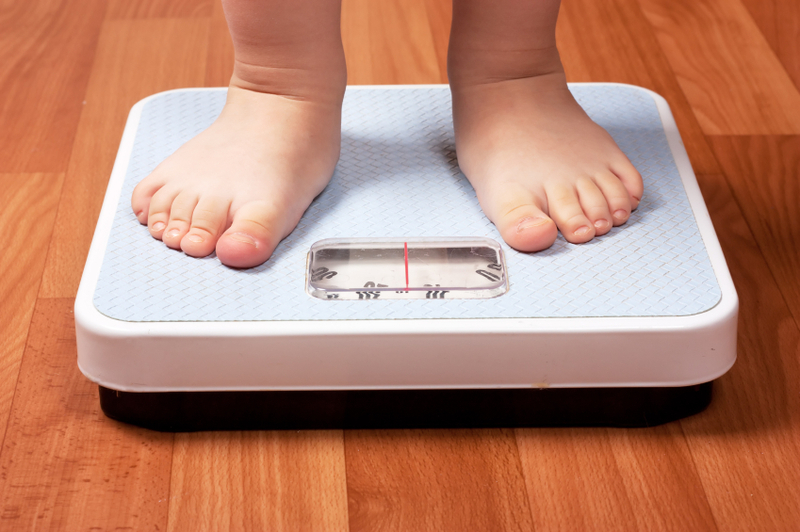 The researchers took height and weight measurements of the children, as well as measured their total body fat, abdominal fat, lean body mass and waist and hip circumference. Insufficient sleep was defined as less than 12 hours per day from age 6 months to 2-years old, less than 10 hours a day for children ages 3 and 4, and less than 9 hours a day for children ages 5 to 7. Children were assigned a sleep score covering each of these time periods - from 0 for children with the highest level of sleep deprivation to 13, which was the ideal score for sleep. The researchers found that overall children with the lowest sleep scores had the highest weight and body mass index in all measurements, including abdominal fat. Children who were consistently sleep deprived tended to come from racial and ethnic minority families with lower incomes and less education, but the association between sleep and obesity was not changed after adjusting for these factors. Though a large body of research has found evidence that lack of sleep puts a child at risk for obesity, few studies have looked at the impact of chronic sleep deprivation over a long period of time. Other studies have suggested there is a "critical" period in which sleep deprivation has the strongest impact on a child's weight; this study did not find a correlation. Other pediatric studies link poor sleep habits to behavioral problems and learning disabilities. Sleep is fundamental to good health, both for adults and children. Long-term sleep deprivation has been linked to dementia, heart disease, mental illness and other chronic health conditions. A study published last February in Proceedings of the National Academy of Sciences found sleep deprivation in adults could slow down hundreds of genes in the body.